Along the white sandy shores of Mexico you will find Quintana Roo, the famous home of Cancun and equally popular Isla Mujeres and the island of Cozumel. Boasting rainforest'ss, endless beaches and beautiful pristine waters, this is one of the most frequented places in Mexico for tourists and a stunning part of the world in general. 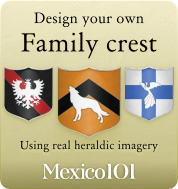 Bordered by the states of Campache and Yucatán in the south east of Mexico and most famous for the islands and popular resorts mentioned above. Enjoying sunshine for most of the year, the area does experience some rain in the winter months, most especially September, but overall it has a tropical climate and consistent temperatures which remain between 25  27 degrees Celsius. Incredibly the population of Quintana Roo is more than fifteen times what it was back in 1970 prior to the arrival of foreign investments and mass tourism. Most of the population is centered around the main resorts and nearby towns which is naturally where most of the population are employed. Since the early 1970s, tourism has thrived in the region which is largely due to the beautiful surroundings, coastal nature and eco-system in Quintana Roo. Cancun is at the very centre of this prosperity and while many concerns have been raised in recent years with regard to environmental damage across the region, foreign investment and government input has also brought much needed employment to the area. Many non natives were driven from the peninsula in the mid 1800s and for many decades the region maintained independence. However, at the beginning of the 20th century, the Mexican army removed the Mayan population from power and it was declared part of the Yucatan region. 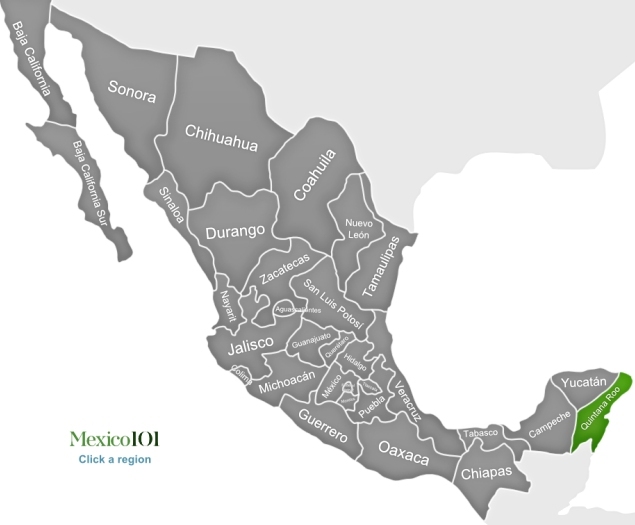 In the mid 1970s it gained independence and is currently the smallest state in Mexico. Many theme parks find themselves in the region and Columbia reef along with Santa Rosa Wall are some of the number one places in the world for scuba diving. However, these and the idyllic beaches aside, Mayan ruins such as Coba ruins and the spectacular sight of Ruinas Mayas de Tulum are arguably the main attractions in the region.